Summer is in full swing and that means it’s time for outdoor lovers to dine al fresco. From Buckhead to Downtown to just off the Atlanta BeltLine, City Winery, Park Tavern, The Brasserie and Café at PARISH and Dantanna’s offer diners and imbibers the perfect al fresco, urban patio experiences. Located on the BeltLine and overlooking the breathtaking Midtown Atlanta skyline and Piedmont Park, diners, imbibers and park goers can relax and re-energize on Park Tavern’s expansive patio with menu favorites such as $2 fresh oysters, burgers,  tacos, salads and sandwiches as well as a full sushi bar serving a wide  variety of fresh sushi rolls, handcrafted beers brewed  on-site, a signature cocktails, new Frosé offerings and much more. 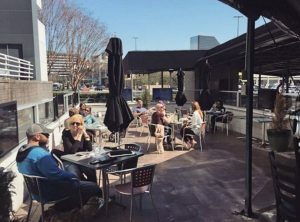 Regularly named as one of Atlanta’s best patios and a favorite of Atlantans and visitors alike, Park Tavern’s patio is also dog-friendly and boasts plenty of seating, hi-definition, flat screen TVs, private cabanas and much more. For more information, visit www.parktavern.com or call 404-249-0001. In addition, stay connected on Facebook at www.Facebook.com/parktavern and on Twitter and Instagram at @parktavern. After a jog or stroll along the Atlanta BeltLine, diners can nosh on mouthwatering bites created by Executive Chef Chavez Hernandez and hungry furry four-legged friends can chow down on PARISH’s brand new pooch dish, the Parish Fresh Dog entrée. A favorite neighborhood destination with a bustling patio ideal for people watching, PARISH features a diverse menu of inspired American cuisine, an inventive beverage program, and warm hospitality. 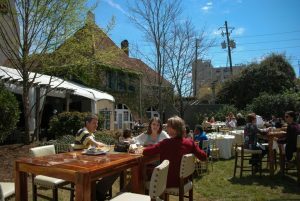 For more information or to make a reservation, please visit www.parishatl.com or call 404.681.4434. Located at 240 N. Highland Ave. Atlanta, GA 30307. In addition, stay connected on Twitter at @parishATL and Instagram at @ParishInmanPark and on Facebook at https://www.facebook.com/pages/ParishFood-and-GoodsInman-Park. 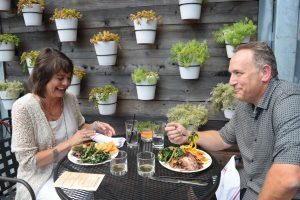 Boasting one of the largest, pet-friendly patios in the city, patrons can bring their furry four-legged friends to chow down on the Canine Cuisine menu at City Winery. Pups can feast on Haute Dawgs — Bite-sized pieces of plain hot dog; Puptite Steak & Eggs — Grassfed beef and two scrambled eggs; Make You Beg Chicken — Grilled chicken breast; Bone Appetit — three strips of crispy bacon, and more. Dogs can also stay hydrated and beat Atlanta’s heat with dog-friendly wines including Chardognays, Zinfantails and Malbarks. Diners and imbibers are also invited to enjoy a compelling assortment of mouthwatering bites created by Executive Chef Nick Anderson and sip on unique, house-made wines by the glass or bottle. For more information, call (404) 946-3791, or visit citywinery.com/atlanta. Located at Ponce City Market, 650 North Ave NE, Suite #201, Atlanta, GA 30308. In addition, stay connected on Twitter and Instagram at @citywineryatl and Facebook at www.facebook.com/citywineryatl. 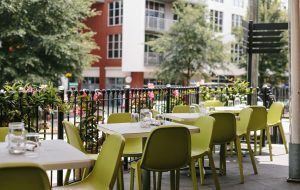 Imbibers and diners can spend afternoons and evenings on Dantanna’s expansive patios at the restaurant’s Buckhead and Downtown locations. A favorite Atlanta dining and drinking staple, patrons can take in the sun-drenched surroundings while enjoying $.50 shrimp and $1 oysters from 4 to 6 p.m. every Monday through Friday. Imbibers can also cozy up on the patio and sip on half-priced local brews on Tuesdays and half-priced bottles of wine from Dantanna’s extensive wine list, available all day on Wednesdays. Dantanna’s Buckhead is located at the Shops Around Lenox, 3400 Around Lenox Rd NE #304, Atlanta, GA 30326. Dantanna’s Downtown is located at 1 CNN Center #269, Atlanta, GA 30303. For more information visit www.dantannas.com or call 404.760.8873 for Dantanna’s Buckhead and 404.522.8873 for Dantanna’s Downtown. In addition, stay connected on Twitter and Instagram at @dantannas. Finally, for other happenings around Atlanta, be sure to follow Pretty Southern on Twitter.